NO. 230, PANSHIN RD., PANCHIAO CITY, TAIPEI HSIEN,TAIWAN, R.O.C. FACTORY: NO. 1,LANE 388, SEC. 1, JIEH-SO RD., SAN-SHYA TOWN,TAIPEI HSIEN, TAIWAN, R.O.C. 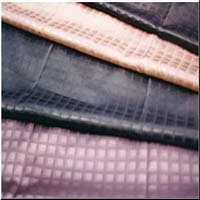 Nylon fabrics: 70D, 210, 420D, 840D, 1200D etc. Nylon farics (70D to 1680D), Polyester fabrics(75D to 3600D), Jacquard fabrics(nylon & polyester),PVC laminated fabrics,and PU coated fabrics.